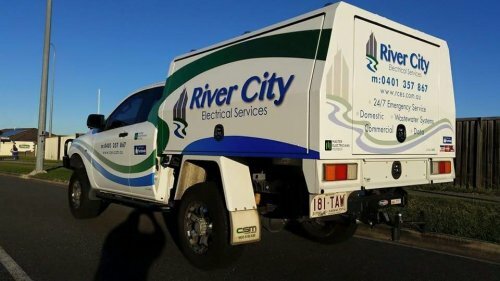 River City Electrical Services is based in Cashmere on Brisbane’s northside. Our company aims to provide customers with a flexible and easy to use electrical service. All of our tradesmen are up to date with all the latest products available so you are always getting the best quality. Whether it is extra power points in your home or a complete commercial construction, you can be guaranteed we will be there on time, every time. We pride ourselves on completing all work to the highest standard and with a professional manner. We are avaliable any time of day. Our aim is to make sure our clients are always happy at the end of the job, this is why we involve the clients throughout the entire process from the very beginning so they get exactly what they were wanting. Call River City Electrical Services on 0401 357 867 today to organise your next electrical job.